Disney Pixar has released another beautiful trailer for the upcoming 'Coco.' The story of a young aspiring guitarist named Miguel who finds himself transported to the Land of the Dead where he meets some interesting characters and learns about his family's heritage. Pixar is synonymous with the best in heartfelt storytelling in animation. From 'Toy Story' to 'Up,' Pixar can evoke a multitude of emotions while creating rich and relatable animated characters. 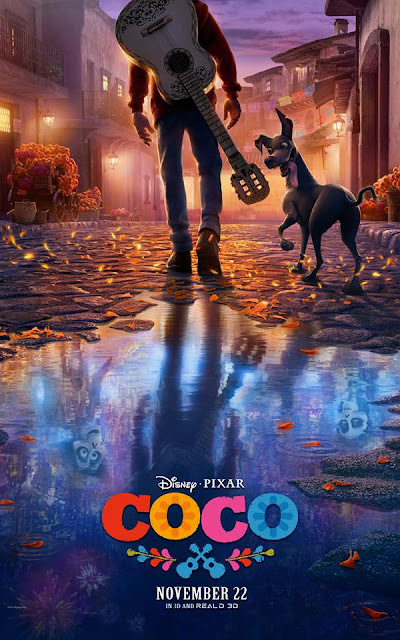 'Coco' is especially important for its depiction of Mexican culture that producers have gone to great lengths to depict it with authenticity and respect. The film boasts an all-Latino voice cast including Jane the Virgin star Jaime Camil and Sofía Espinosa as Miguel’s parents and Luis Valdez as Miguel’s uncle.